This line sums up precisely how I felt about going for a health assessment with Bupa health clinics. I don’t know about you, but I often have concerns about my health that build up over time, but that I don’t feel warrant a visit to the doctor, either because they seem minor or because I don’t necessarily have symptoms. Thoughts about heart issues and diabetes are a concern, for example. My dad and Grandad both had heart attacks when they weren’t much older than I am now and that plays on my mind. People I know that are the same age as me have developed Type 2 diabetes which is another worry. But, while I have these worries, you’re hardly going to go to a doctor and say, “I have no symptoms – only concerns – so check it out for me”. And yet the Bupa Health Enhance Assessment promises exactly that, and a lot more. I attended the new Bupa centre in Glasgow a week after they opened. The reception was friendly and there was guest Wi-Fi to use while I waited for my appointment. I used this time to install the Bupa Boost app on my phone. It’s a great tool for motivating yourself to meet personal health goals and to set reminders to keep me on track. Before the assessment I completed an online survey so there was no form filling on the day. It was straight in to meet the first of two health professionals that I would be seeing on the day, a GP and health adviser. This first meeting was to discuss my physical shape and also where I’d like to be. We then devised a workout plan from how to get from one point to the other. Simple as that! My height, weight and waist measurement above the navel (where a man’s fat tends to sit) were all taken. Then, double blood pressure cuffs for six, very relaxing minutes. I mean, you almost fall asleep because it’s that relaxing. After, a body fat calculation measured through your toes and a small blood sample is taken, that’s when the magic starts. The blood test results for this are practically instant. Once all of the numbers are put into the Bupa systems along with info about your age, history (have you smoked for example) and your postcode, results are calculated and determinations made which provide you with amazing insights into your health and future. My recent lifestyle change, which focused on completely cutting out bread, snacks, sweets and some beer, had put me on the right path. I needed to do more exercise, but apart from that, all of my test results were good or very good. I didn’t have any heart murmurs or similar problems. Hearing this was incredibly good news. 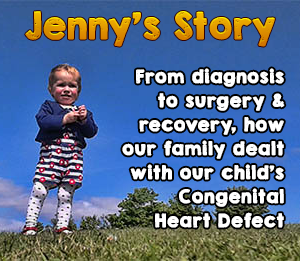 From a family with heart issues, it was always on my mind that I may have a similar problem. Learning that I don’t was quite emotional. Statistically, my chance of having a heart attack or developing Type 2 diabetes within the next ten years was less than 2%. The only measurement that could do with improvement was to do with the level of good fats in my blood. To fix this, I needed to incorporate more olive oil, oily fish, avocado and nuts into my diet, and do that exercise. Easy! I was then offered a choice of either a musculoskeletal assessment (to test movement and flexibility) or a hearing test. Given my involvement with music production, I opted for the latter. The test comprised of wearing headphones and pressing a button whenever I heard a sound. I had been concerned that my hearing had been deteriorating a little, so this carried a little anxiety for me. There was no need. The test showed that my hearing was just fine, with good readings right across all frequencies. With all of this information, you then develop your Lifestyle Action Plan with your Bupa health adviser. This is sent to you after your visit. The next part of your Bupa Enhance Health Assessment is with a GP who is already aware of any health concerns that you have, or issues that you’d specifically like to address. Prior to the appointment I had noted that I have reoccurring shoulder pain as well as occasional sleepless night. It was clear the doctor had done his homework because when I went to meet him, there were information packs on sleep and advice on how to help my shoulder. Within a couple of minutes of going in, he’d given me suggestions about posture (especially relating to using a mobile phone, as well) which I’ve used since and have helped me immensely. The next step is a physical check. The doctor worked on a knot in my neck and showed me how to work on it in the future. He put my mind at rest about a suspect mole and also offered a prostate / testicle check. The blood sample that I’d given earlier was being sent off for further tests. The GP discussed which checks he was requesting, which were personalised to my requirements. The check was far more thorough than anyone could expect from a trip to a GP. I’d spent just over two hours with two health professionals who reassured, educated and offered me valuable advice. The reassurance was particularly important to me – it gave me peace of mind. You don’t have to worry about remembering any of this information, or the results. After the assessment is finished, you get a link sent to you which contains everything that is discussed, results, action plans, handy links and so on. It’s a personalised report written by the two professionals I met with. As such, the report is unique to me and is a very detailed record of every measurement, reading and issue that we talked about. Having it accessible online makes it easy for me to refer to when making my food and exercise plans for the future, and in setting myself targets for my health. You can learn more about the details on the different assessments, check prices and availability in your area on the Bupa website. If you’re not sure whether a health assessment would be appropriate for you then give them a call and ask any questions you might have. This post was sponsored by Bupa health centres. As ever, all opinions are my own. Next post You've Seen the Film. Now Watch the Netflix Series!